Write a love letter on a typewriter to give along with one of the books from this list -- Pride & Prejudice is one of my personal favourites. 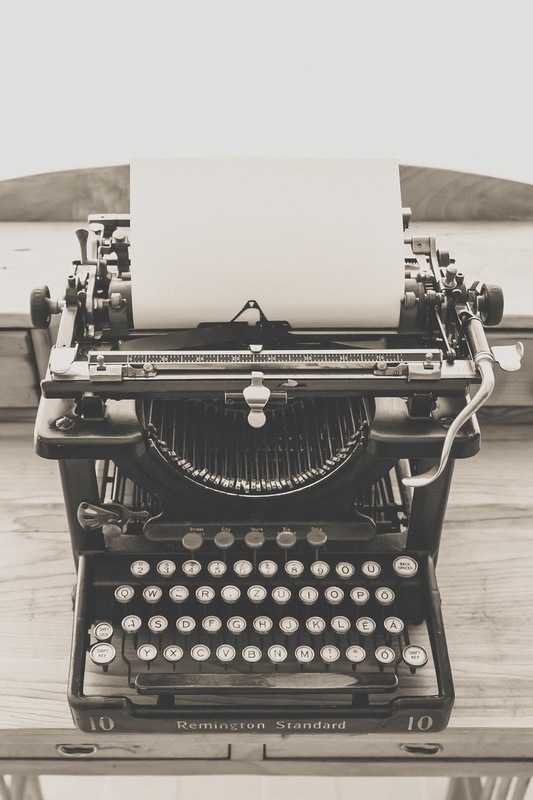 If you don't have access to a typewriter, there's nothing wrong with writing a note with pen and paper. 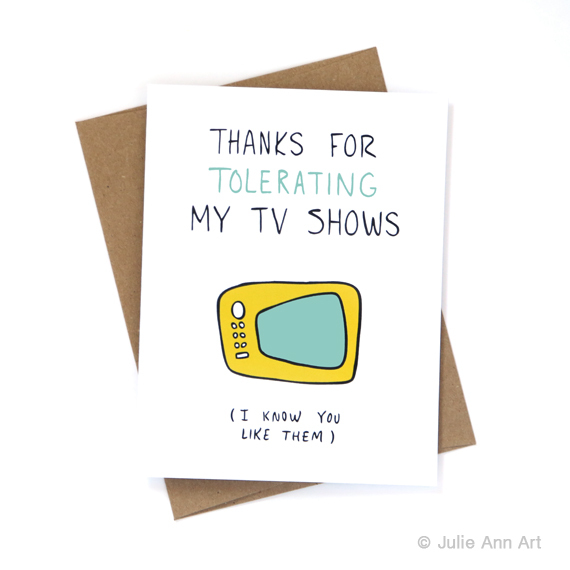 Grab a sassy valentine card from one of Julie Ann Art's stockists -- it's too late to order one. There's even a shop in Saskatchewan that has her cards available. This would be a nice addition to a bouquet a flowers. 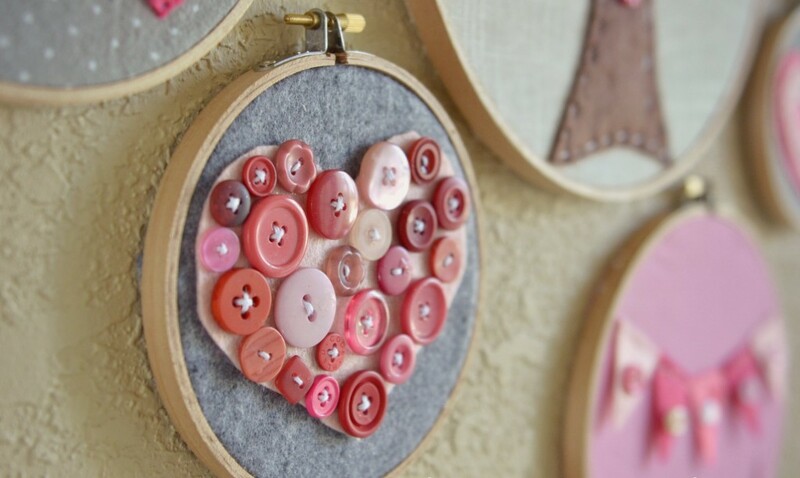 If you like to do embroidery -- or have dabbled in it recently -- then one of these simple designs would be quick and easy to make. You just might have all of the items you need to make it laying around the house, and would go nicely with some chocolates. 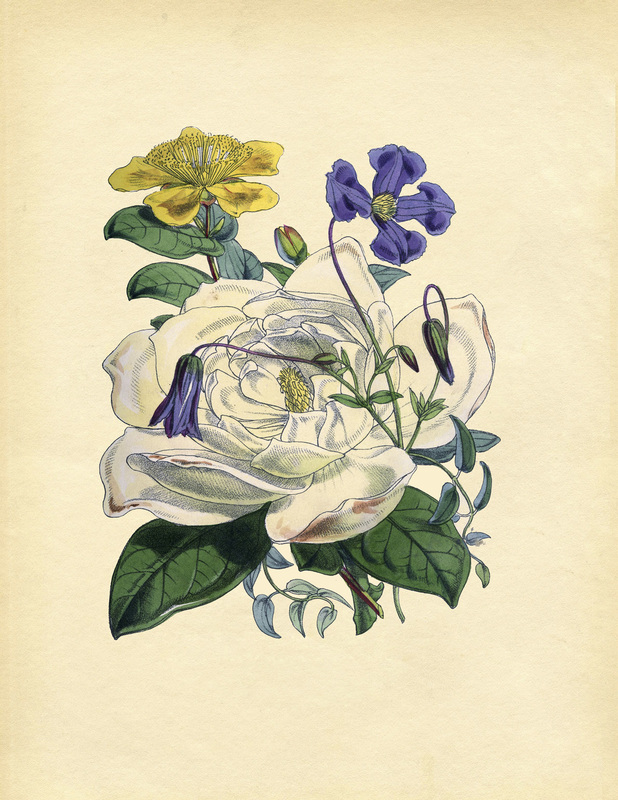 If your loved one loves flowers, but can't handle the smell, a beautiful botanical print -- that can be found on Google -- printed off and framed would make a lovely gift. This would pair well with a bottle of wine.